Welcome to Weekend Writing Warriors, the weekly hop for everyone who loves to write! Sign up below with your name, blog and email and share an 8 to 10 sentence snippet of your writing on Sunday. Your post needs to be live between 12:00 noon on Saturday 03/04/17 and 09:00 AM on Sunday 03/05/17. Visit the other participants on the list and read, critique and comment on their 8sunday posts. Spread the word, share the love, warriors. Twitter hashtag #8sunday. Last week I shared from my WIP, The Tree of Life. Rio just arrived in Sedona and is speaking with his sister, Seraphina. “Let’s go. I have some explaining to do.” He wasn’t looking forward to that, either. His father was less likely to overlook his interaction with Queen Isis after he had already escaped from the Vargas clan once. Following his sister, he stepped into the elevator. I hope you enjoyed the snippet I posted for Elizabeth. She said I won't be able to post next week because we'll all be too busy with the Tucson Festival of Books and house guests, which I hope means extra treats! Be sure to visit the other Weekend Writing Warriors and Snippet Sunday authors for more fun reads! A very warm welcome to my guest author Constance Bretes today. Her new release ‘Blue As Sapphires’ is a contemporary romance with a very interesting and extremely relevant back story. Welcome Connie, tell us a bit about how you came up with the idea for ‘Blue As Sapphires’. Blue As Sapphires was born from my love of sapphire digging, and gold panning in the beautiful Gem Mountains and Rock Creek River that runs through Philipsburg, Montana. Another issue that I’m passionate about is doing away with domestic abuse. I took the two subjects and combined them into a story that made Marissa determined to survive and overcome her ex-husband’s physical and emotional abuse, and the sheriff, Riley McCade, who is determined to love and protect her. What a great premise for a story Connie! Have a look below for a snippet and more info about Connie. Marissa laid back and wrapped her arms around Riley’s neck. She brought her lips to within an inch of his. She stared into his eyes and noticed how tender they looked. She moved in a little more, and her lips met his. He moved his mouth over hers, devouring it. While the fireworks were going off in the sky, Marissa felt her own fireworks. His kiss sent a shock wave through her entire body. Riley guided Marissa so she was on her back and he was partially on her. His Stetson concealed their faces. They continued to kiss and touch, looking lovingly at each other, and then kiss again. The fireworks lasted for fifteen minutes, and suddenly a flashlight shone on them and voices interrupted them. Three firefighters stood in front of them singing a line from Burning Love. Riley and Marissa quickly broke apart. “What the hell?” Riley said. A hint of irritation laced his voice. He abruptly stood up, grabbed Marissa’s hand, and pulled her up. “We were told that there was sparks on the ground, and we were asked to put it out,” Mitch said, laughing. “Just who the hell told you that?” Riley asked. “Heidi,” John, second firefighter, said with an amused smile on his face. Riley and Marissa shot Heidi a glance. “We can see that the sparks have been put out so we’ll head back to the truck.” Mitch smiled even wider. Dave and Cindy stood off to the side chuckling. Someone from the crowd that had gathered around them asked, “Hey, Sheriff, got a new girlfriend?” Ripples of laughter rang through the crowd. 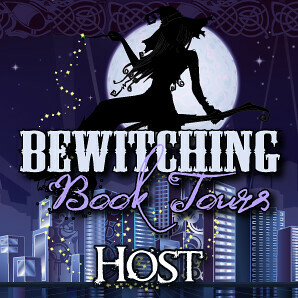 Stop by here, http://www.constancebretes.com/news–things.html for a chance to win a free copy of Blue As Sapphires. Connie began her career as a secretary in 1977 for the State of Michigan as a civil servant. She retired from the Michigan Department of Transportation after 38 years as the department’s forms analyst. She has an MBA in Business Administration – Leadership Studies, and a BA in Business Management. She has six books published, with five more on the way. Connie spends most of her time behind her computer, writing, editing and researching for her next story. When she’s not there, she can be found checking out ghost towns, sapphire mining, and gold panning with her best friend and husband, Jim. Her other hobbies are basket weaving and jewelry making. She is a member of RWA’s From The Heart Romance Writers, and Kiss of Death Romance Writers, and lives in Basin, Montana.